JayComp Development recently managed a new build construction project for ASAP Energy. 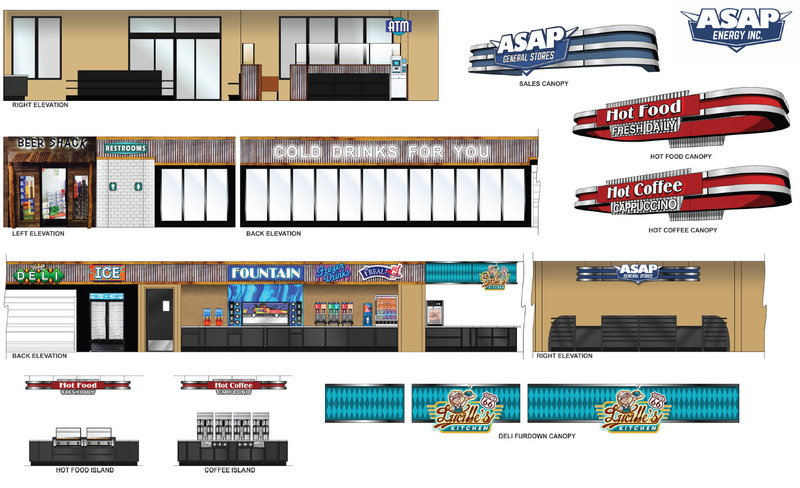 JayComp provided ASAP end to end consultation services including concept development, floor plan design, and construction management. The First Step in the Equipment Installation Process Happens at this Point. We call this “Building Dry In”. 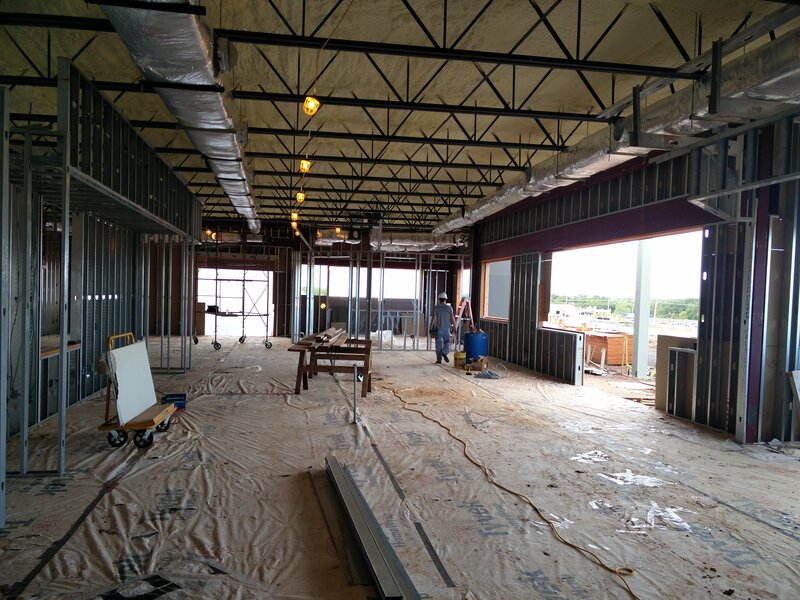 At this Point the Building is Ready for Walk In Coolers to be Set! 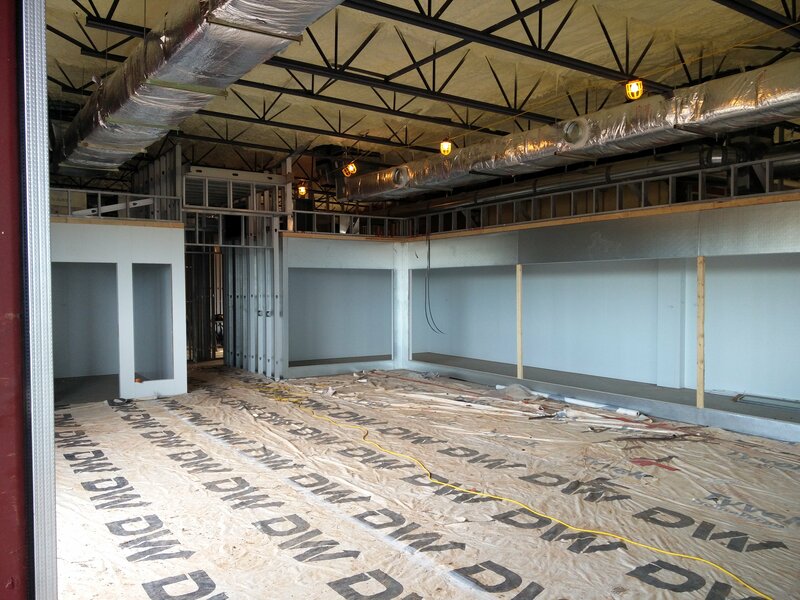 The Walk-In Coolers are Set Into Place and Become a Part of the Interior Framework of the Building! 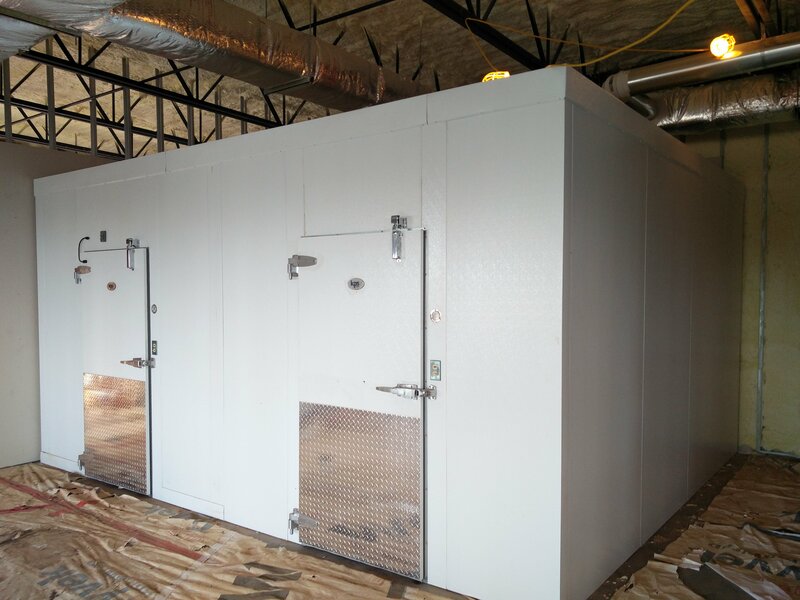 This is a picture of the Food Service Walk-In Freezer and Cooler Which is Placed and ready to receive the Drop Ceiling Which occurs in the Next Phase of Construction after The walls of the Building have Been Covered. We use a White Baked Enamel Finish which makes Cleaning Easier and Gives a Finished Appearance to the Walk-In Package. This is the Beginning of the Graphics Work. 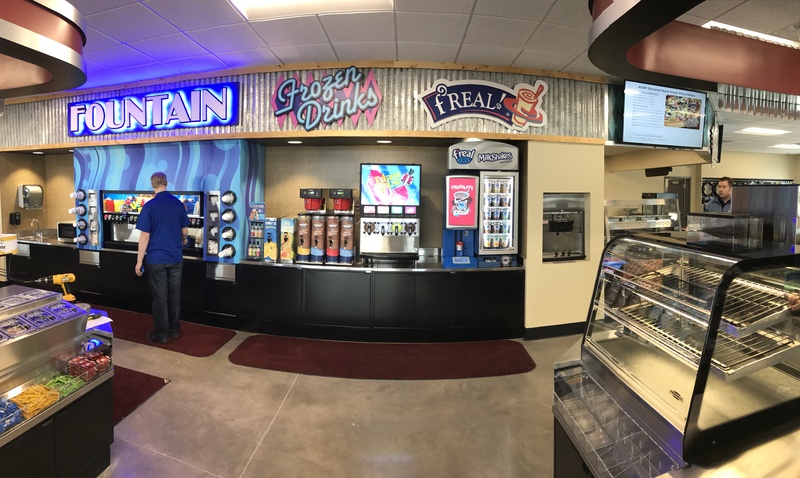 We design the Graphics package and begin the Installation. 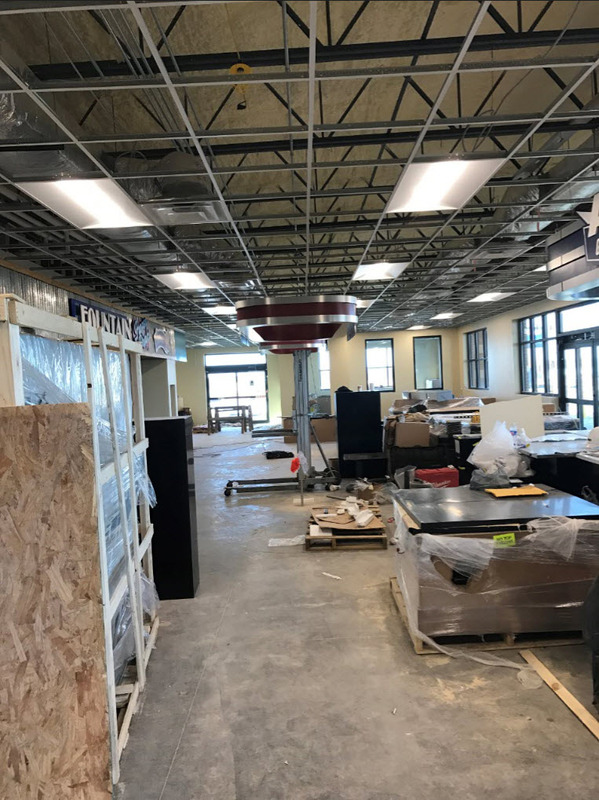 Most of the Time this happens after the drop ceiling is installed but in this application we installed this a little earlier in the Process to Gain access to the Building roof structure for the purpose of Suspending the Canopies over the food service equipment and Cashier Areas. 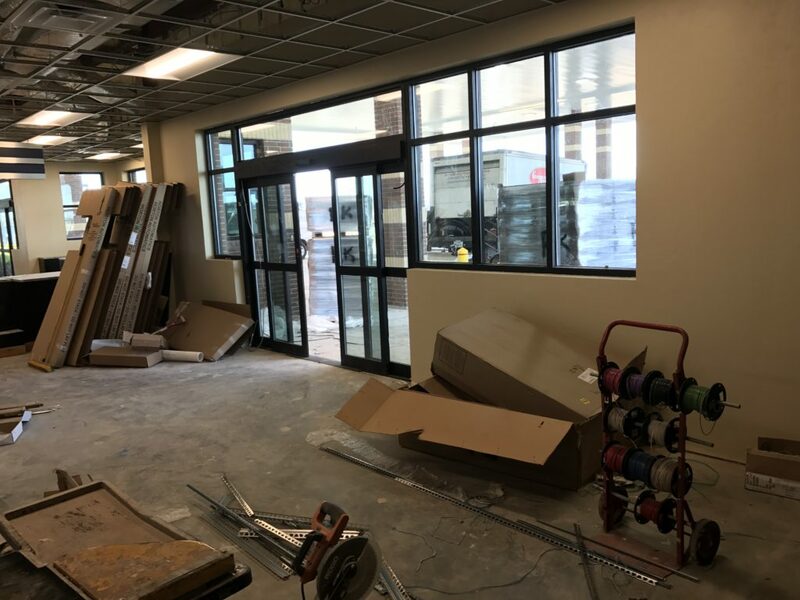 This is a picture of the construction jumble that happens just before the interior equipment package and retail fixtures are set. This picture shows the Cabinet Installation. On this location the Floors were unstained concrete with a polymer finish that was applied after the Cabinets set. Typically with Tile floors the Cabinets would be Set after all of the Tile work had been Completed. 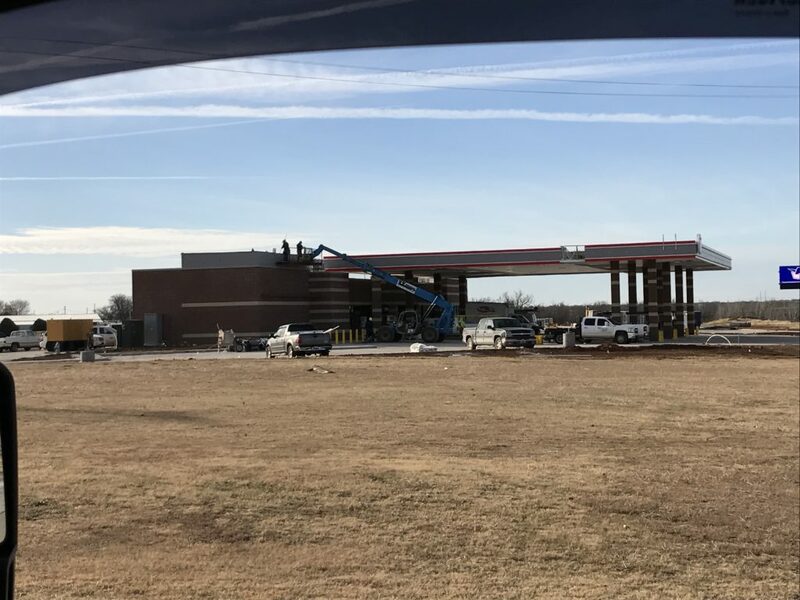 For reference this is a picture showing the progress on the outside of the building. Work flows smoothly outside and inside at a rapid clip! 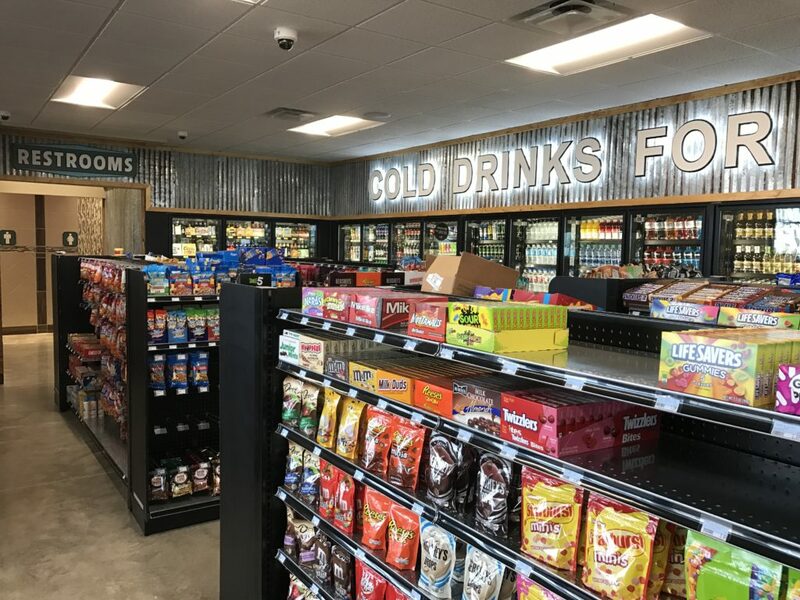 This picture shows the interior of the main beverage cooler with Backstock Shelving against the back wall of the cooler and the shelving package installed behind the glass display doors. The standards are set with top and bottom shelves. The remaining shelves are set by the Vendors as they merchandise the doors for retail display. This picture is a look at the front of the walk-in cooler section before the vendors have stocked the product. This is a look once the vendors have set their product and Walla there you go!! 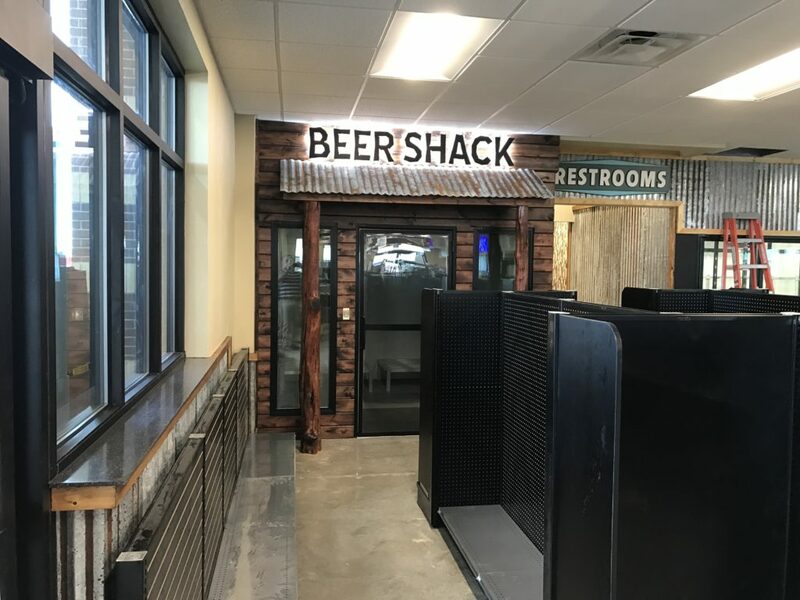 This is a picture of the “Beer Shack” commonly refered to as a Beer Cave. 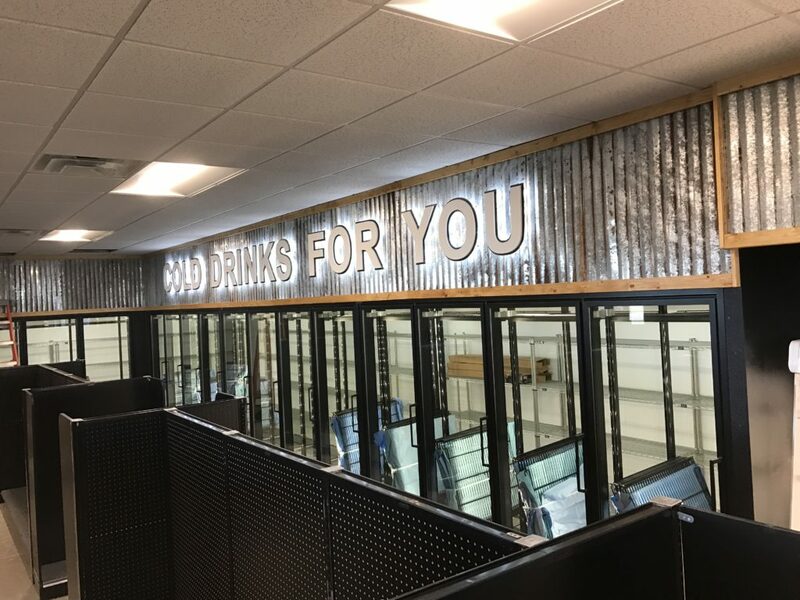 This is a refrigerated walk in that holds the product inside at 28 degrees F which is the coldest temperature that Beer can be stored without freezing. 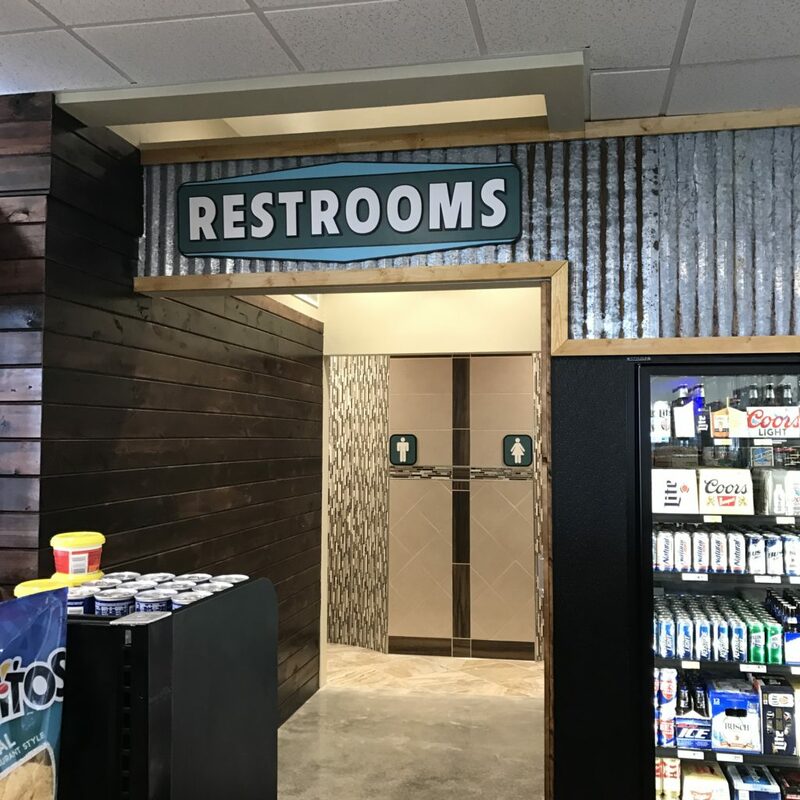 We used aged wood and a back lit sign above aged metal on cedar posts. The Look is rustic and develops a finished look reflecting the taste of the owner! Pictures from the Inside of the Beer Cave showing the product placed on Dunnage Racks. 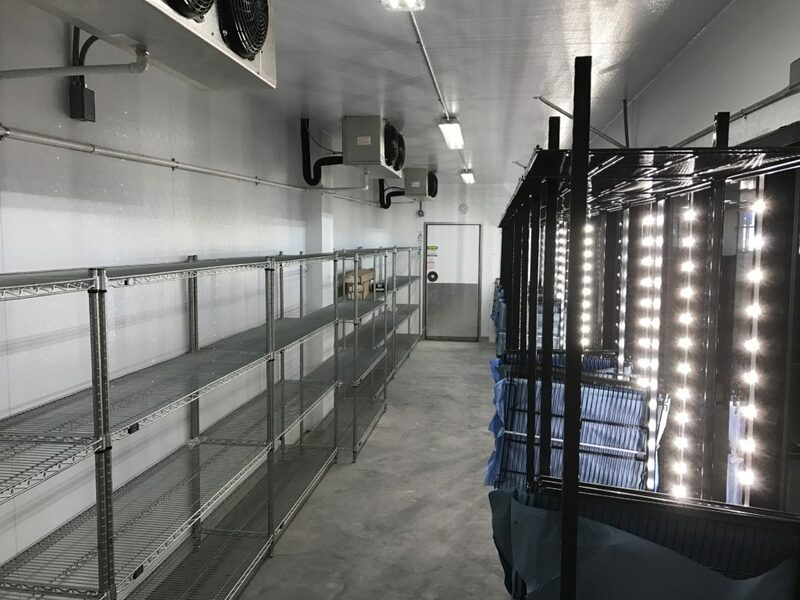 The purpose of these racks is to enhance air flow and allow for Cleaning! 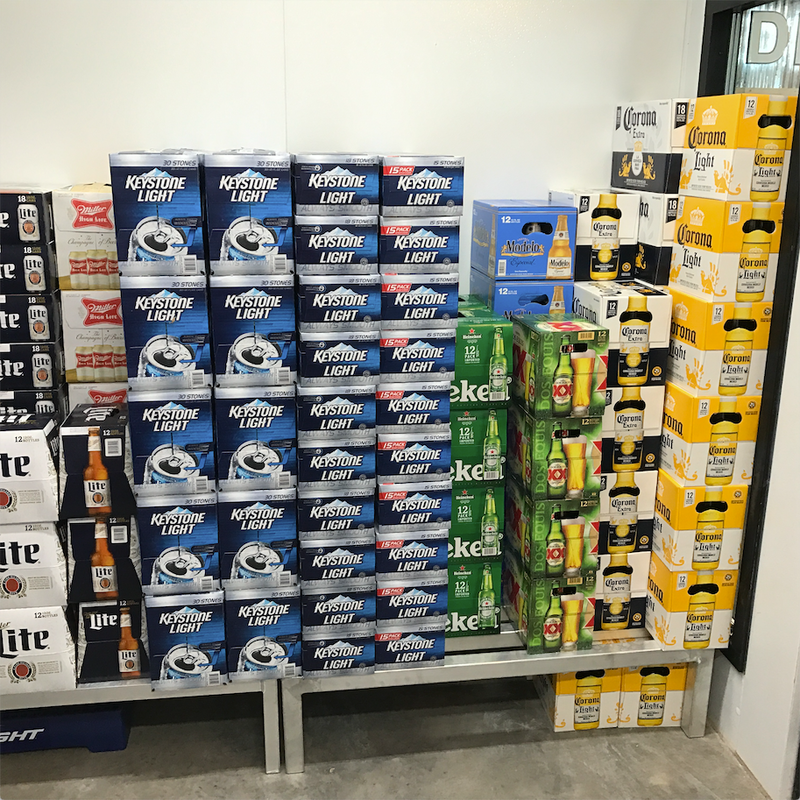 As you see the Corona Man has elected to use it for storage below… This will not be acceptable by the Health Inspector!! 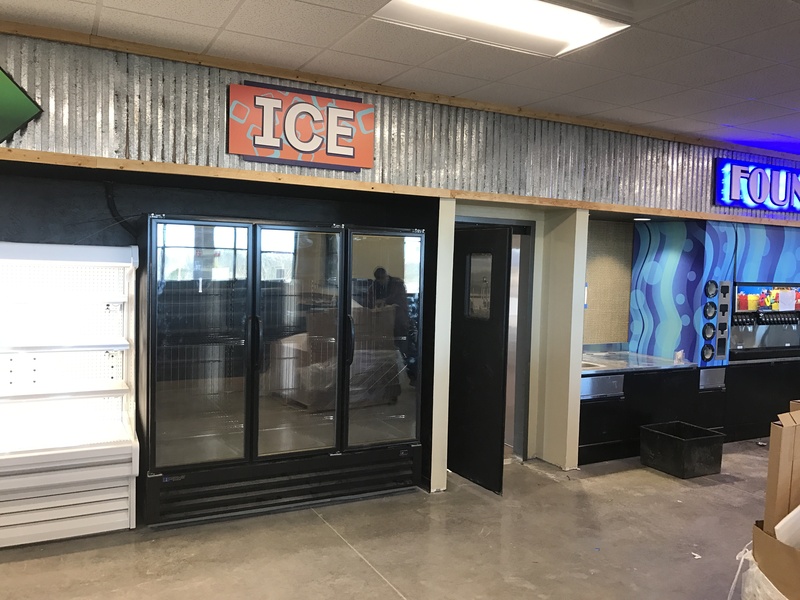 This picture shows the corner of the open air merchandiser used for fresh produce that is setting along side the glass door freezer used for ice and frozen food. Produce is something not normally seen in convenience stores but is becoming a popular item for snack cups and healthy alternatives to the common fried food offerings of C-Store cuisine. If you notice we have a very distinct contrast using white for this merchandiser. Some ask “Why?” Well the reason is to draw your eye to this offering again not normally seen in C-Stores “PRODUCE” we wanted to make SURE it was noticed and consumed prior to its very short shelf life!! 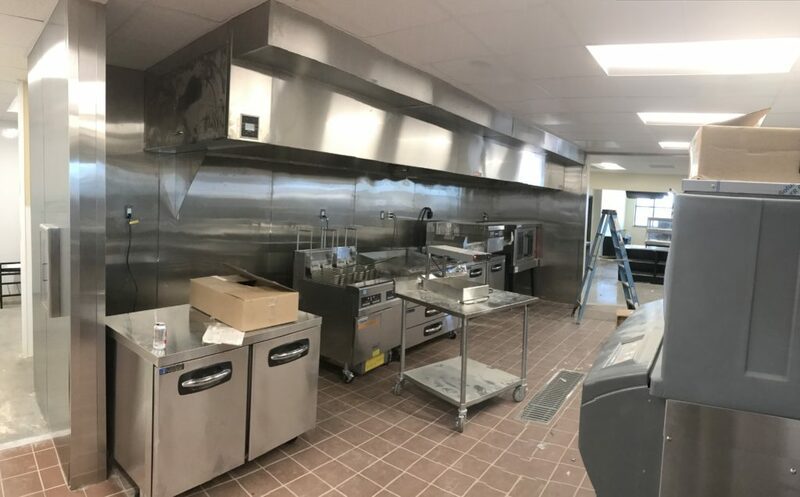 This is a picture of the cookline showing the cooking equipment and the installation of the Vent Hood system. 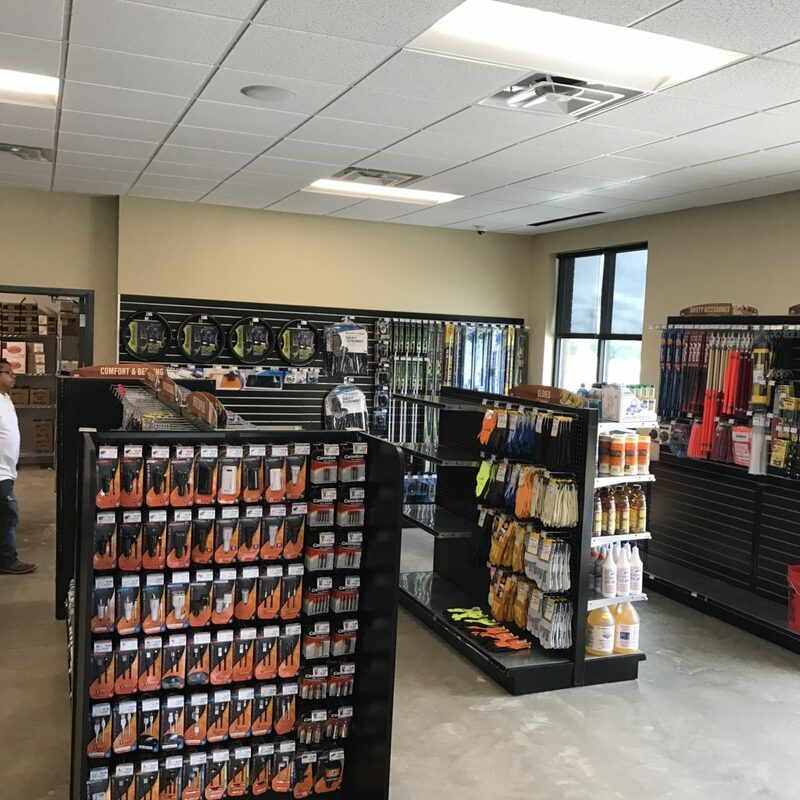 In this picture we are assembling and setting the equipment for connection by the plumbing and electrical contractors. Once those connections are made and all of the equipment is in its place we final out the hood installation with Ansel and startup the appliances for final inspection by the Fire Marshall with regard to the hood and cooking equipment. 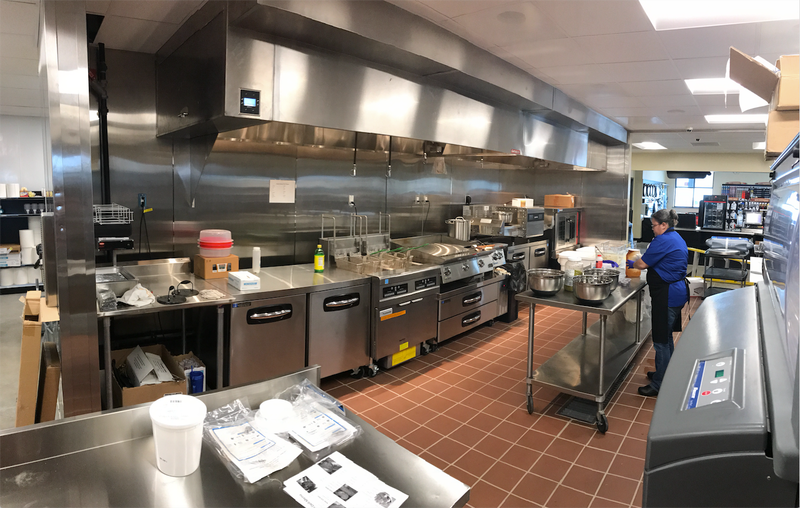 This is a look at the kitchen pre-opening while some test cooking is being done to prepare for the Lucille’s Menu! 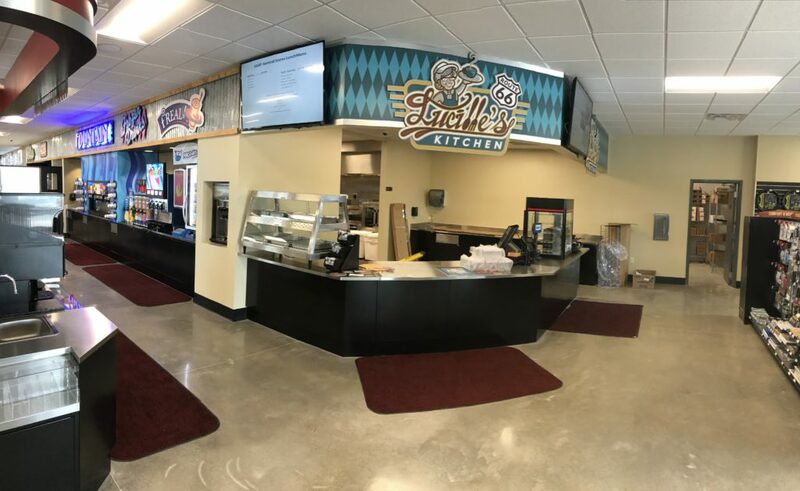 This is a snapshot of the Lucille’s Kitchen Area with a panoramic view of the front graphics and color band stretching the length of the store!! 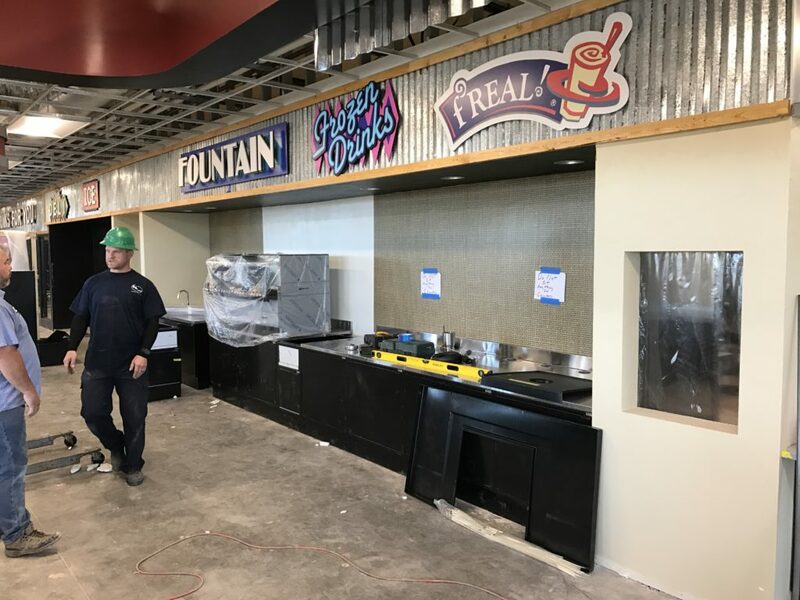 This is a shot of the Fresh Deli offerings and fountain areas which flows over to the coffee and cappuccino island and into the Lucille’s Diner area where patrons can enjoy the fresh offerings from their extensive kitchen creations! Hot coffee and cappuccino ready and inviting!! Fountain and frozen bar nice, clean and well presented. Ready for business!! 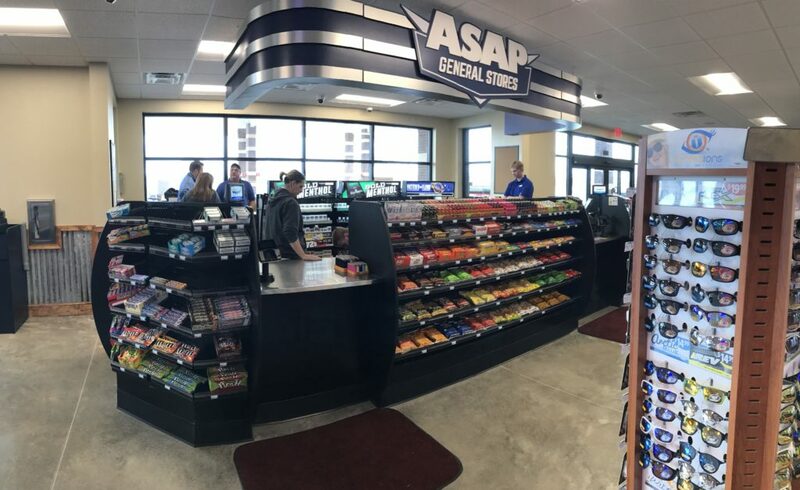 For the cashier area we use elevated merchandisers to hide the day to day operations and create impulse buy opportunities while patrons form lines to pay out. 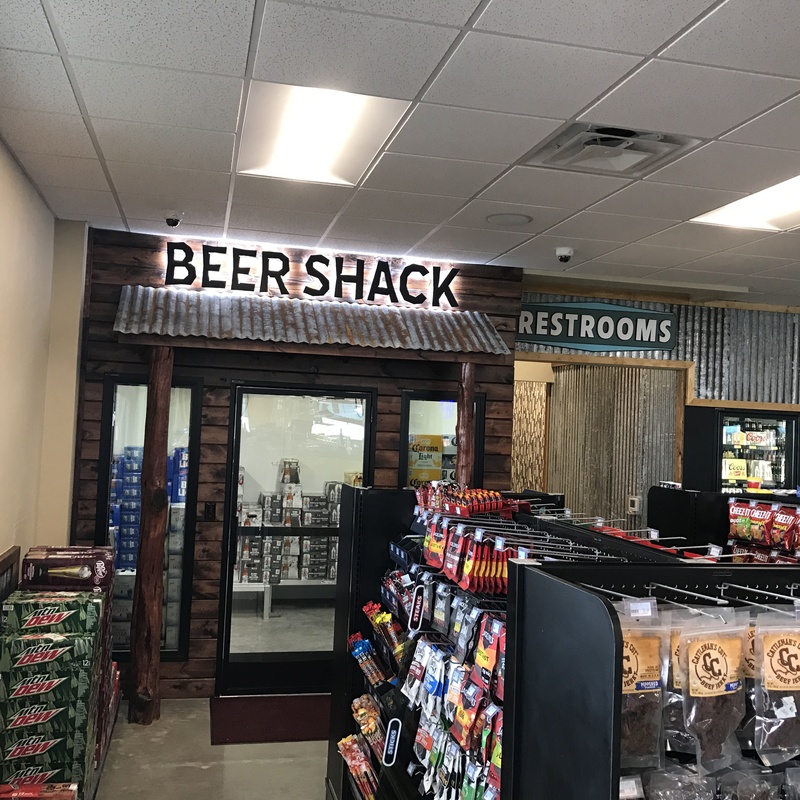 This is a marketing idea that has been tried and proven to be very successful for store owners and we highly recommend them! 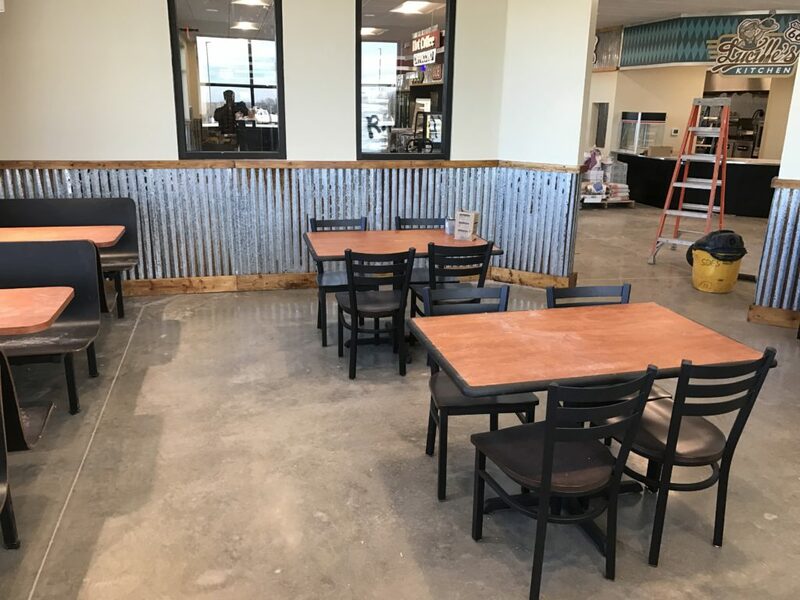 Seating Area… nice, clean, open and AWAY from the sales floor! This is key… You don’t want your rush hour traffic slowed down by Patrons who are taking time to eat at your place of business! This remote seating gets them away from your normal foot traffic flow and keep rush hour patrons moving through the store a quick pace! 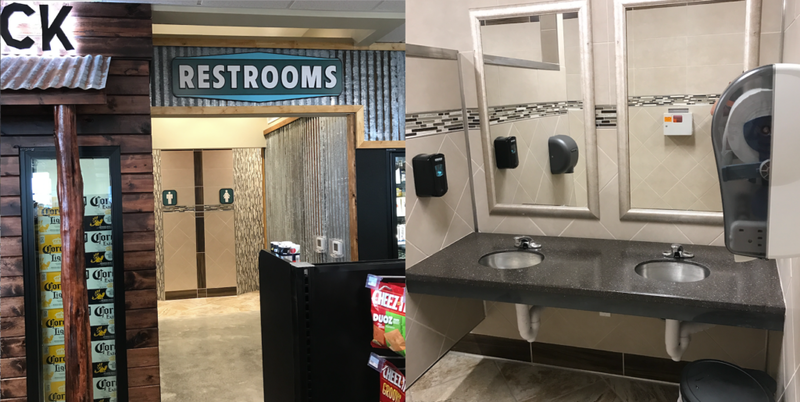 Bathrooms… The single biggest error new store owners neglect. 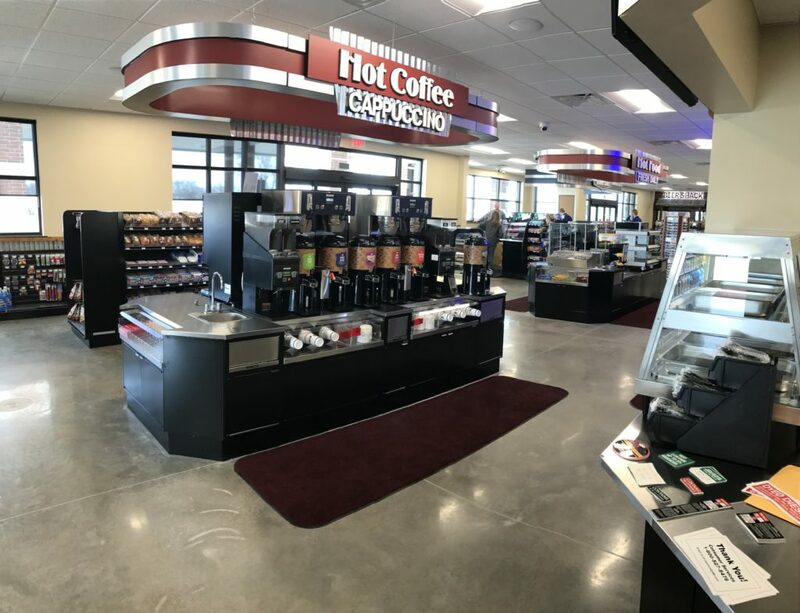 Customers need a clean, well organized place to step into during their busy commute and we accommodate! Touch-free well lite, above adequate space and CLEAN!